Although play is the universal language of children, play among various ethnic groups is different, since it is influenced by cultural beliefs and practices. To be an effective play therapist, an understanding of cross-cultural factors such as health-seeking behaviors and many other factors must be considered. Additionally, culturally-influenced play therapy strategies will be demonstrated and practiced. Various cultures will be included with an emphasis on the culture of African American children and families. Case examples, art activity and music (drumming) will be included in the workshop. Sonia Hinds, APRN, PMH-BC, RPT-S, is the Founder and Director of the Chesapeake Beach Professional Seminars and the Founder and Director of Barstow Acres Children Center. Ms. Hinds is a retired Colonel, Commissioned Officer in the US Public Health Service and former Army Nurse Corps Officer. 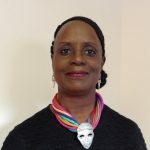 Sonia has authored the chapter, Play Therapy in the African American Village in the text, Cultural Issues in Play Therapy, edited by Eliana Gil, PhD, RPT-S and Athena Drewes, PsyD, RPT-S.